Inspired by the Chinese mythology of the Yin and Yang. 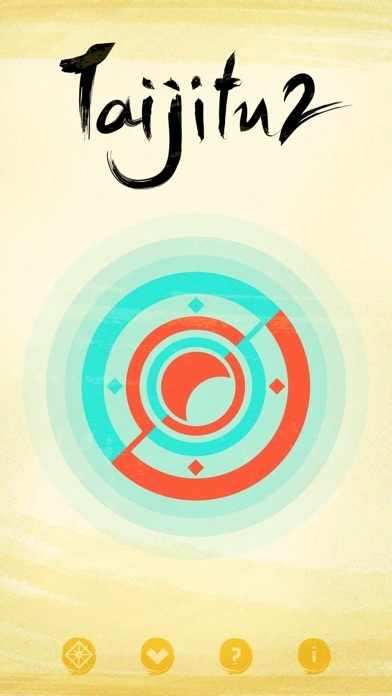 Taijitu is a puzzle game about balance and harmony. The goal is to interchange shapes colour and make the colour balance on each side. The black line separate each different sections by top and bottom. This puzzle game combine the art of geometry with beautiful transitions and ambient music. Plug in your earphones while playing for better experience. The game divides the screen into two sections via a black line, first tap the number button at the bottom then press center of the screen to rotate the shape. Interchange shape colour to make it balance on each side. Double tap top header of the screen to pause the game.